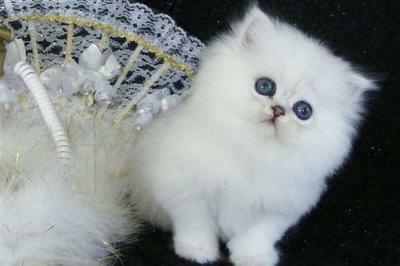 I am a small in home cattery (Doll Faced Persians) which is CFA registered and has the Cattery of Excellence standing for about 7 years now. I've been breeding for 14 years now and raise strictly silver and goldens now. I breed baby doll faced cats as I believe it is good for their health. The cattery is DNA Negative for PKD, and the cats have no fleas, ringworm or ear mites. My kittens are socialized (raised underfoot) and loved much. I have been very fortunate to acquire one of your Persian babies Smokie. He is a silver tiger and was born 12/25/07. We have had him since 2012 and love him more each day. He has the most beautiful face and is so very precious.